Mrs A was an older lady who lived alone following the death of her husband. Given her increasing frailty and issues with arthritis in her hip which made the lifting of her legs very difficult, she was finding it an increasing problem to be able to step into her bath for bathing. Having approached her GP for advice Mrs A was subsequently referred to her Occupational Therapist for assessment. The Occupational Therapist visited Mrs A and having discussed her difficulties with her, suggested that the installation of a level access shower in place of a bath was the appropriate way forward. 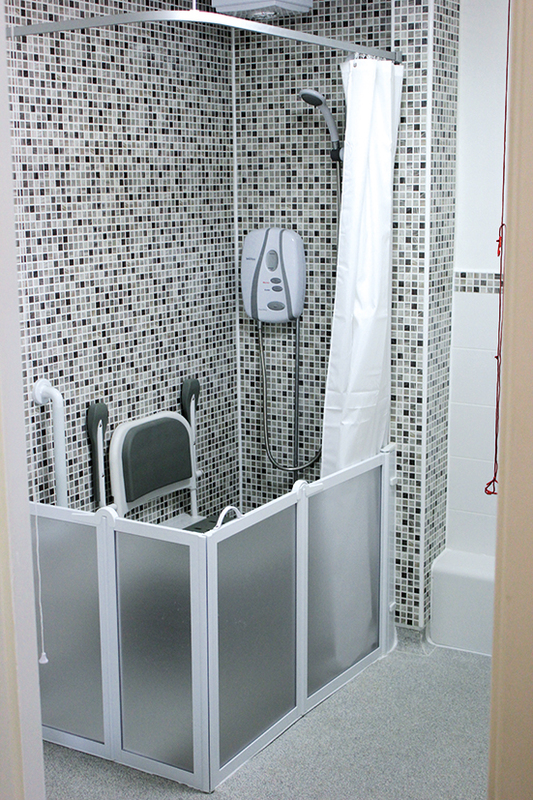 The Occupational Therapist made a referral to the Home Assistance Hub on Mrs A’s behalf, asking that she be considered for the installation of a level access shower paid for via a Disabled Facilities Grant. A Technical Officer from the Home Assistance Hub then contacted Mrs A and arranged to call out to visit her. After the visit, he drew up plans for the new bathroom that included the new shower, non slip flooring, a new toilet and a sink with lever taps. A Home Assistance Hub caseworker then helped Mrs A complete and submit application forms to Cheshire West & Chester Council for a Disabled Facilities Grant, obtained quotes from local contractors for the works themselves and conducted a preliminary means test that showed Mrs A would not be liable for any costs towards the works required. The grant was subsequently approved and the contractor was instructed to commence works. When complete, the Technical Officer and the Occupational Therapist revisited Mrs A to check the works were of a suitable standard. The new bathroom facilities mean that washing and showering is much easier than before and Mrs A now feels more able to manage independently and more confidently around the home.